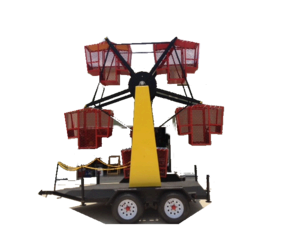 The mini Ferris Wheel ride rental seats up to 12 children from 2 years old to 8 years old. The Ferris Wheel needs level, flat surface, it requires approx. 20ft. radius. Great for school or church fundraising!